In the interests of enhancing compact cities, some lovely public spaces can be carved out of alleys. It makes for quiet place amid the milieu, and can be the perfect home for those little secret restaurants, artworks, and meeting places that are whispered from the lips of locals in-the-know. 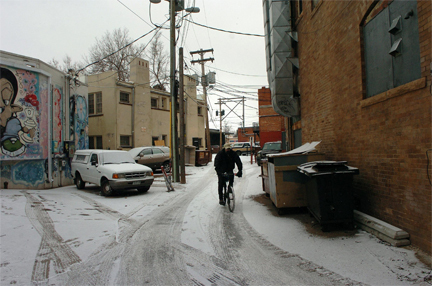 Note: these are old photos, but the alleys are pretty much unchanged.